We go on shoe-collecting trips regularly and different chapters visit different neighborhoods on each trip. We wear signature Shoecyclist hats, so you can’t miss us. We don’t ask for any money – only shoes that are in good or not-so-good condition. If shoes are in a good condition, rest assured we will a deserving pair of feet for them. 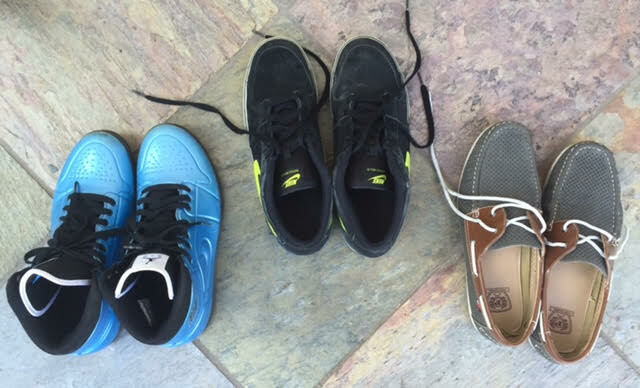 We are collecting names of local organizations that take shoes in gently used and new condition. And if they are recyclable, they will go to Nike Grind. Everyday, we are working on adding organizations to this list.